Get the garden you’ve always dreamed of. 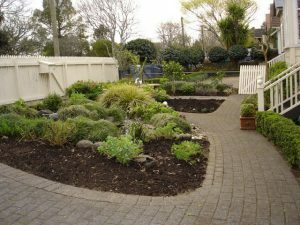 Great Garden Workz specialises in garden maintenance for homes and businesses throughout Hamilton, Cambridge and the Waikato. Is your overgrown, out-of-control garden letting your property down? Are you lacking the time or the knowledge to sort it out yourself? Or, perhaps you need help maintaining your business or commercial grounds? 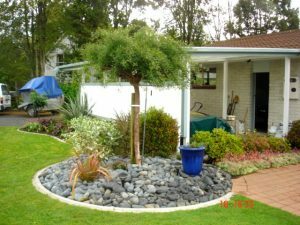 Our highly experienced team is equipped to handle a wide range of garden maintenance and landscaping, including weeding, pruning, hedge trimming, planting, rose spraying and fruit tree care. Our rule of thumb is, “Weeds out, roots and all!” No short cuts, no job too hard, too big or too small. Whether you need a one-off spruce-up for a special occasion, ongoing garden maintenance services for your home or business, or bespoke landscaping work, we’re here to transform your garden into a space you can be proud of. If you don’t have the time or the skills to keep your garden looking immaculate, we can help. Our expert team can tackle weeds, tidy hedges, plant new beds, prune fruit trees and revive rose bushes – restoring order and beauty to your outdoor space. First impressions count. 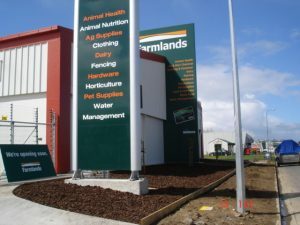 Whether you’re looking to replant flowerbeds, maintain hedges, or completely overhaul the outside of your company headquarters or commercial complex, we’ll work with you to create a pristine and professional outdoor environment. Looking to transform an unappealing outdoor space into a garden, entranceway or outdoor living area with the wow factor? Our experienced and hardworking team can help you design an outdoor area that perfectly suits your lifestyle and location.